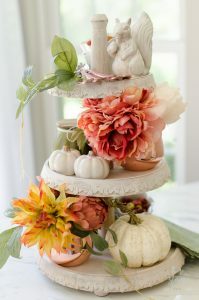 Follow these step-by-step tips to learn how to effortlessly style a tiered tray for fall using faux floral arrangements and small seasonal accessories. 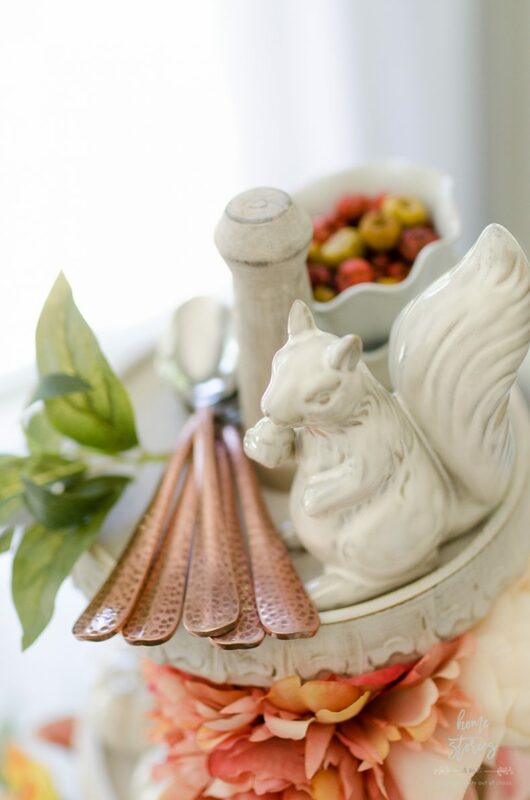 One of my favorite ways to add a seasonal touch to a tabletop or decorative vignette is with a beautifully styled tiered tray. 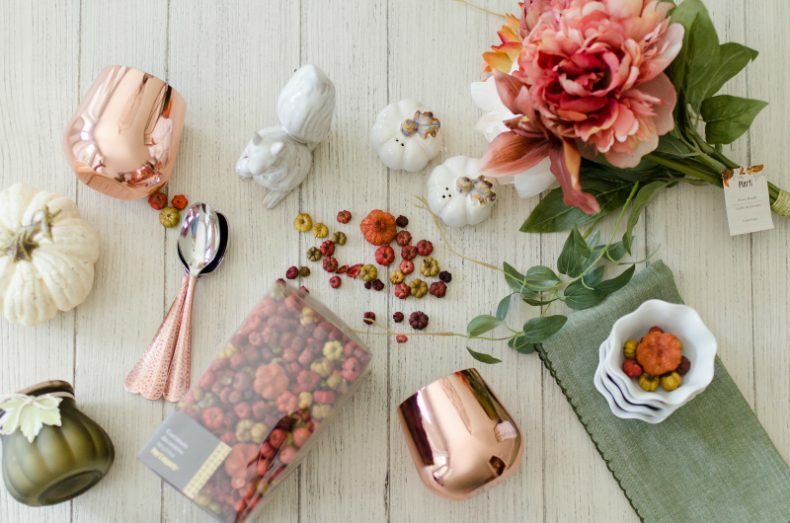 You can create an autumnal centerpiece within a matter of minutes using a tiered tray, faux florals, and other seasonal accessories from Pier 1. 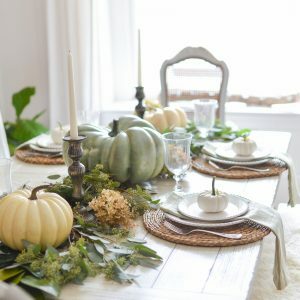 No green thumbs or decorating prowess required! 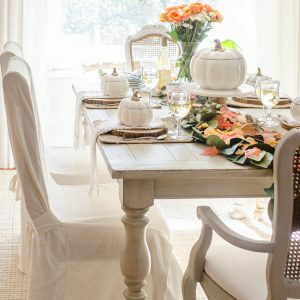 Here is everything you need to get started. 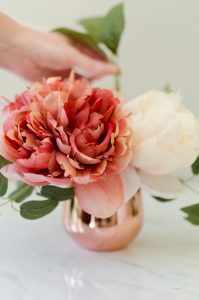 Step 2: Create two faux floral arrangements. First, separate all the stems in your peony bundle. 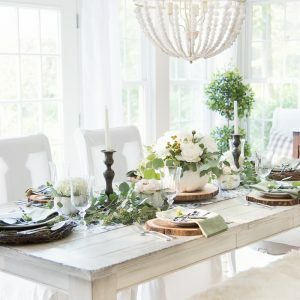 Next, pull off all of the greenery from the wire stems and set aside. 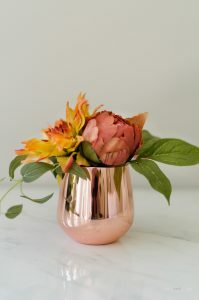 Using a copper stemless wine glass, hold up half of your florals and trim to the size of your container, leaving about 4 inches of stem. 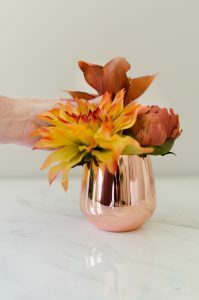 Place each stem into the glass and add greenery on the outside of the florals to complete the look. 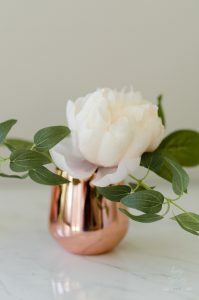 Fluff and bend the flowers until you are happy with the look! 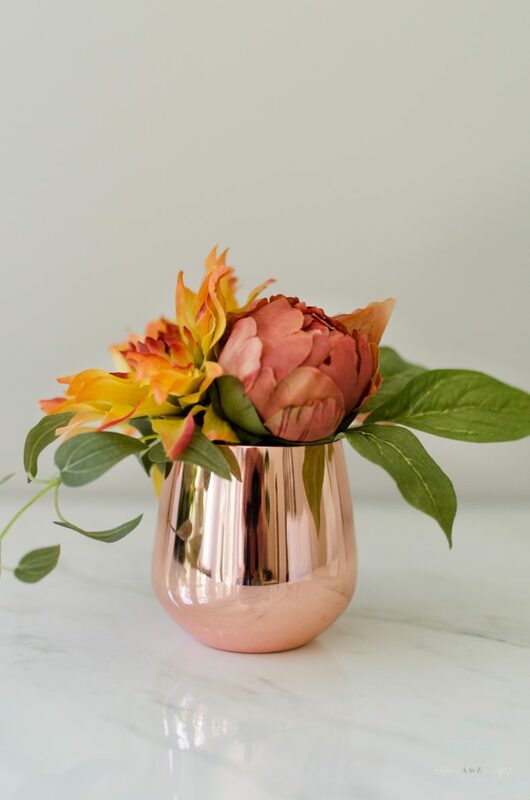 Repeat these steps to create an additional floral arrangement using the remaining florals from your peony bundle and additional copper wine glass. 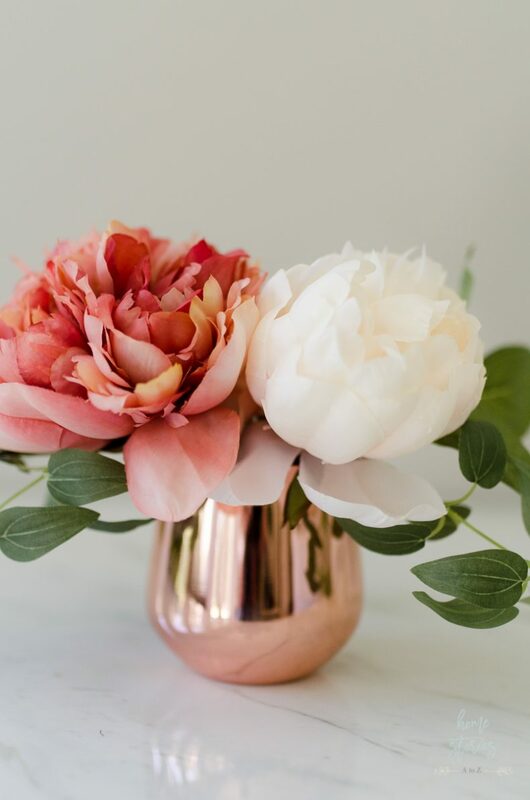 Bend the floral wire stems until you achieve a natural look. 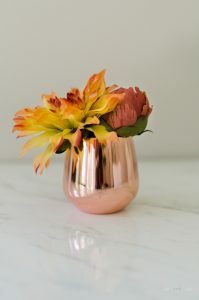 If your stems are not behaving, place rocks in the bottom to support the florals. 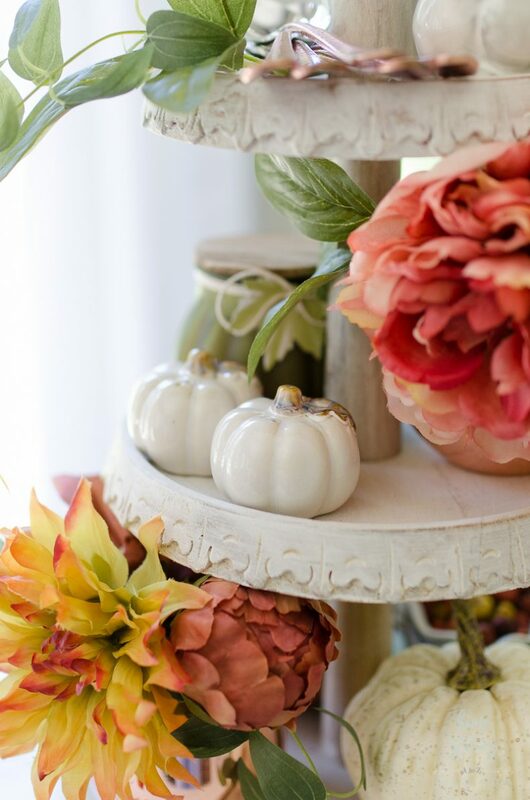 Step 3: Stagger the faux floral arrangements on the tiered tray to create a visual triangle. 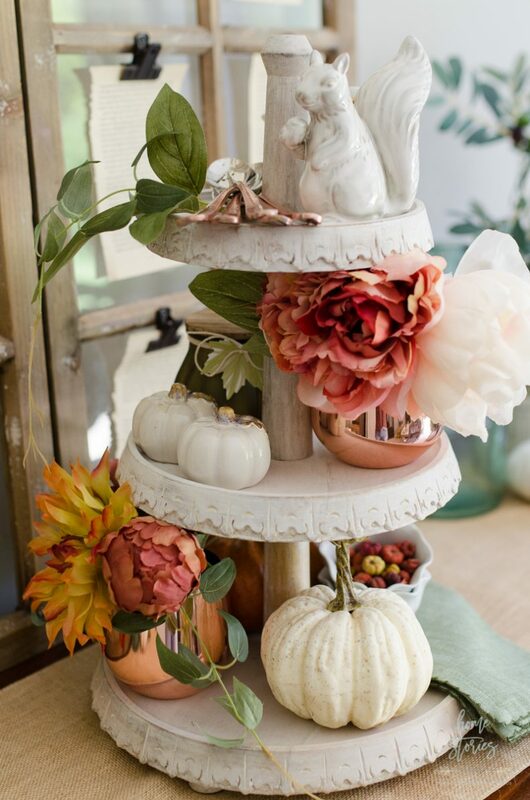 Decorating a tiered tray is very similar to decorating shelves. 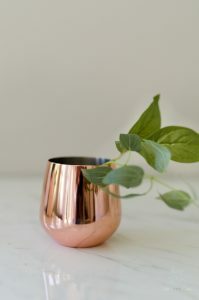 You want to zigzag, or triangulate your colors, textures, and shapes. 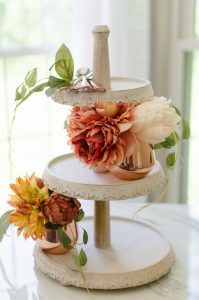 First, add a touch of copper to each tier by placing copper spoons on the top tier followed by the two fall floral arrangements on the lower two tiers. 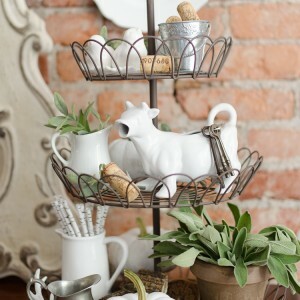 Next, zigzag your cream-colored accessories on the tray to create another visual triangle. 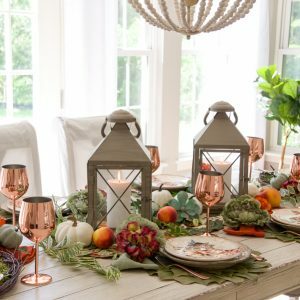 Visual triangles are pleasing to the eye and are the secret to creating a pulled together look. 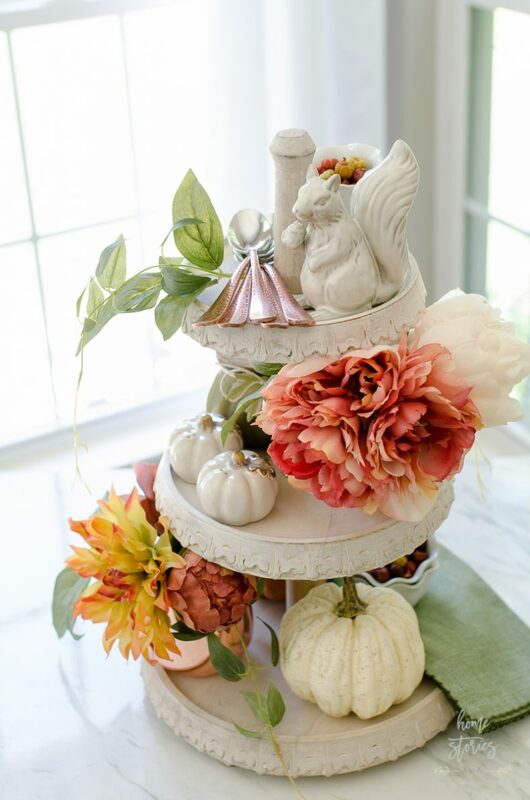 To complete the centerpiece, fill in the remaining spaces with seasonal accessories. 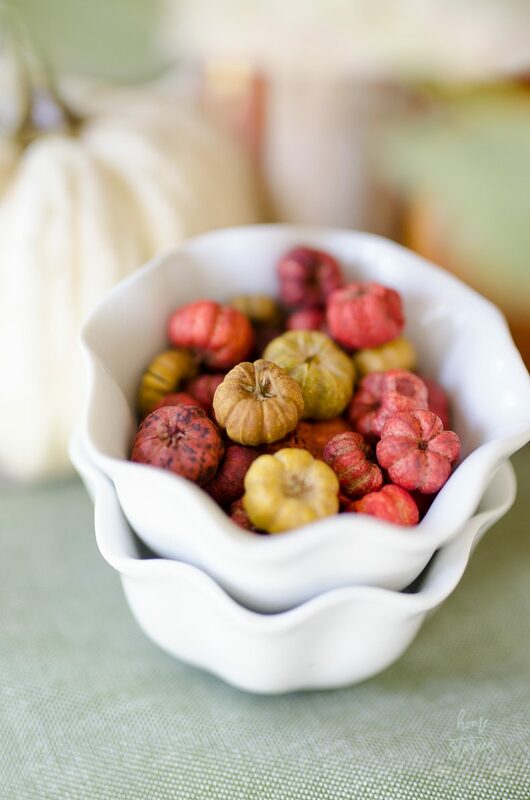 I often like to use small dipping bowls filled with natural elements. 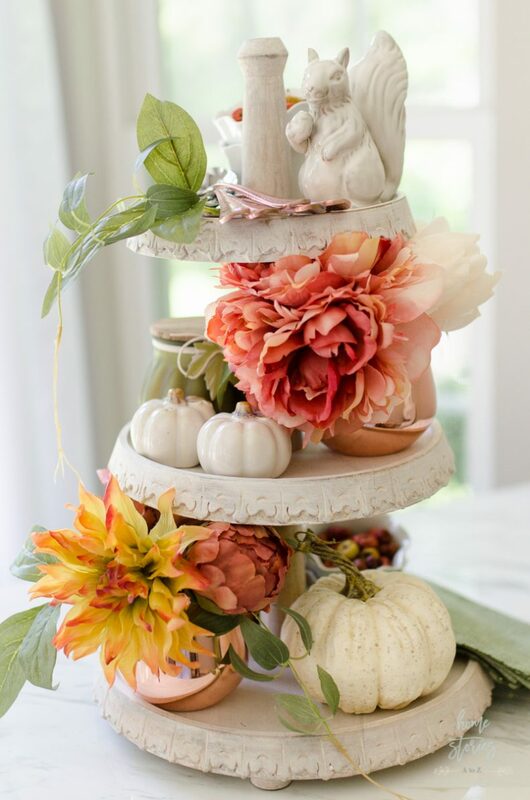 The sweet little pumpkins in the Preserved Pumpino Vase Filler are adorable and add the perfect complementary pops of color. 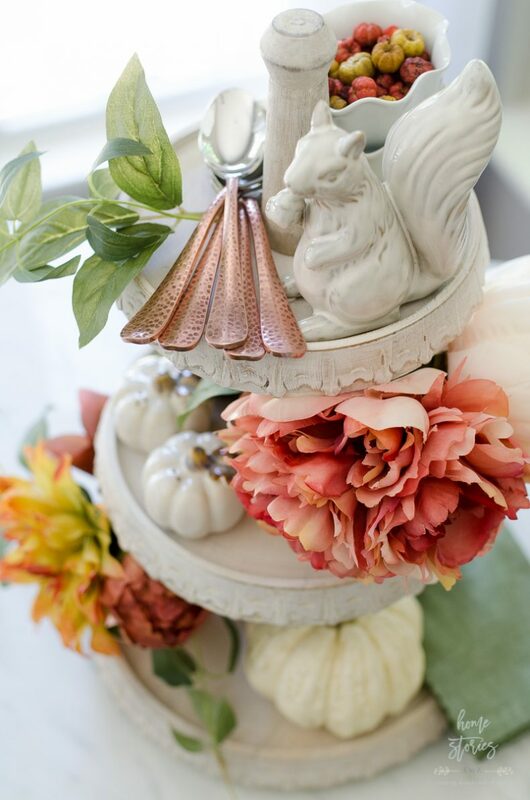 Use your styled tiered tray wherever you need some seasonal color! 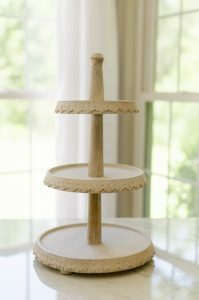 They look beautiful as the star of the show on the dining table, or as part of a decorative vignette on a buffet. 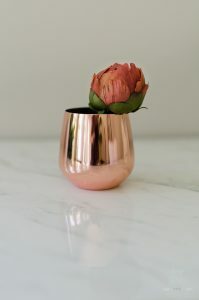 of every size, style and texture! 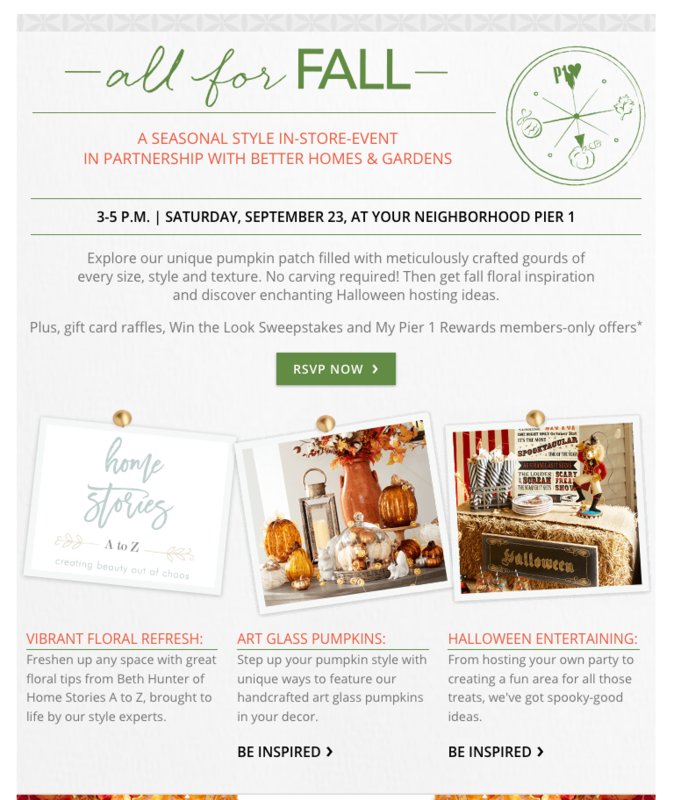 RSVP for the event by clicking here.